Three separate times during this adventure in the mountains of Tabasco I think well, that’s that. We’re not going to get to do this after all. Luis Manuel Godinez’s assistant, Miguel Corzo, and the son of the landowner wrestle the wheelbarrow to the site of the bees’ nest. The first is when we discover we have forgotten the beeswax foundation, left way down the mountain in the little pueblo of Redención del Campesino. But no, says our brujo. It’s only 20 miles. You all just relax here and I’ll be back with the wax shortly. The sun beats down on this village of 200 souls. For the next two hours we sit in plastic chairs in scant shade, eating juicy mandarins from a tree in the packed-clay yard of a tiny whitewashed adobe house. Chickens, ducks and turkeys forage around us. We walk down to an emerald pond and watch a couple of kids swimming and fishing with a long net strung between two poles. A family of pigs cavorts in the water on the opposite shore. Oropendolas give their musical, loopy, water-drop calls. 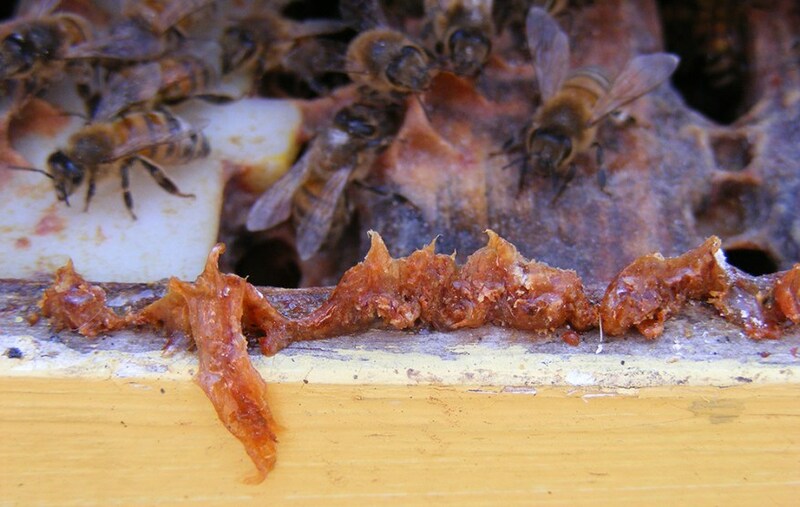 Luis Manuel Godínez García – who I am genuinely beginning to think of as a sorcerer of the bees – returns with the wooden frames of foundation wax. 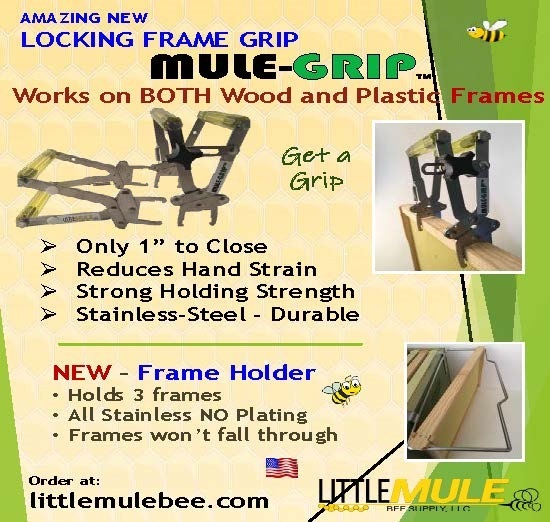 The legendary “killer bees” that we intend to gather from a hole in the ground will need them in order to start their new life in a wooden hive. Off we drive toward the farm where the nest has been reported. We stop when we see the dueño of the property flagging us down. He stands waiting by a muddy path with his two sons and a rickety wheelbarrow full of excavation equipment: sledge hammers, mallets, shovels, pry bars, machetes, even a chainsaw with gasoline and bar oil. “It’s about two kilometers in,” he explains. I look at the rough, uneven, sodden path, pocked with the prints of cattle. I look at the wheelbarrow full of equipment, contemplate the two kilometers, and think, well that’s that. Luis just smiles and begins to pile bee boxes and smokers, spray bottles and enough bee veils for a small army on top of all the tools. His team of devoted students and ex-students helps out. 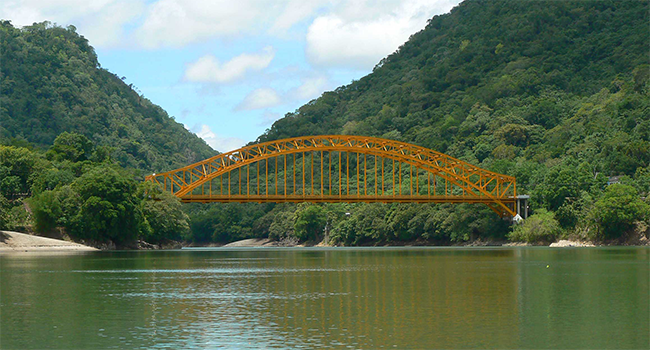 For the past 10 days, my wife Maria and I have been accompanying Luis through rural Tabasco, particularly to small villages grandfathered in to the Usumacinta Canyon Ecological Reserve, on a tour of all-things-apicultural. 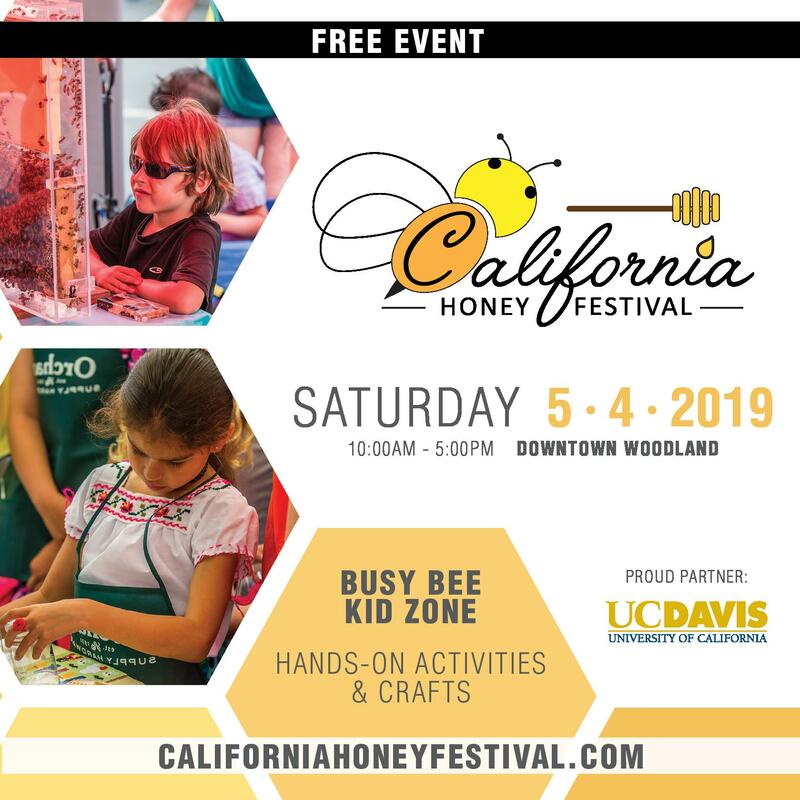 I should know by now that nothing is going to daunt this brujo of the bees. 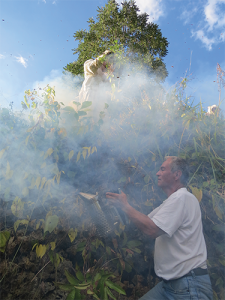 Luís Manuel Godínez puffs smoke at a cluster of bees while assistants stand at the top of the arroyo. Miguel Corzo uses a machete to cut a vine holding the gathered bees. 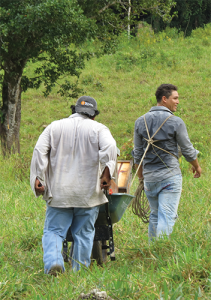 Miguel Ángel Corzo Romero, Luis’s stout right-hand man, lifts the handles of the wheelbarrow to push it, and one of the dueño’s sons is roped into a harness made from a lariat to pull (yes, pull) it. Our group slogs single-file through the mud. I’m happy that my advanced age and status as “visiting expert” leaves me blithely traipsing the trail, swinging just my insect net and a small mallet, swabbing streams of sweat from my forehead with my baseball cap. 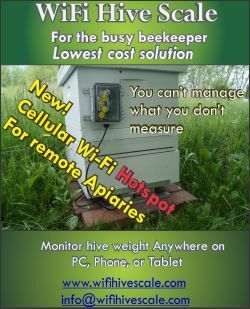 In half an hour we arrive at the site of the bees’ nest, only to find that the bees are ensconced about 10 feet up on the side of an arroyo. They are barely accessible by a tough, vertical, slippery climb. A thick cover of vines and other vegetation conceals a tiny entrance leading deep down into the limestone. Miguel Ángel Corzo digs away at the cave with a pry bar. Well, that’s that, I think. 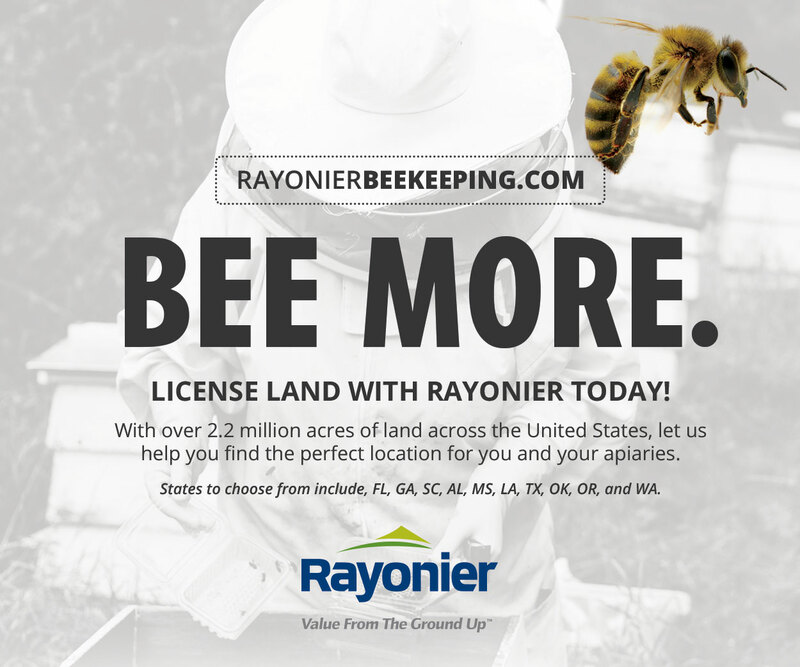 No way on earth are we going to be able to remove all that plant cover, open a hole into solid rock large enough for us reach in and pull out five to 10 combs of bees, larvae, pupae, pollen and honey, and escape without a horrible stinging incident. Aren’t these the fabled killer bees? 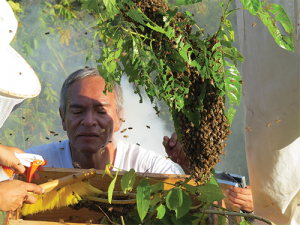 The people of Tabasco are poor – in money, in land, in a culture hammered by foreign economic interests – says Luis, and a hive of bees costs a thousand pesos. 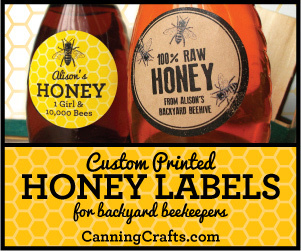 The bees will produce delicious honey that brings another 120 pesos per quart. 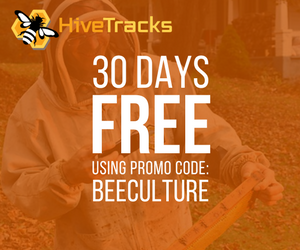 So it’s well worth the risk, and the hard labor, to pick up a hive free of charge. 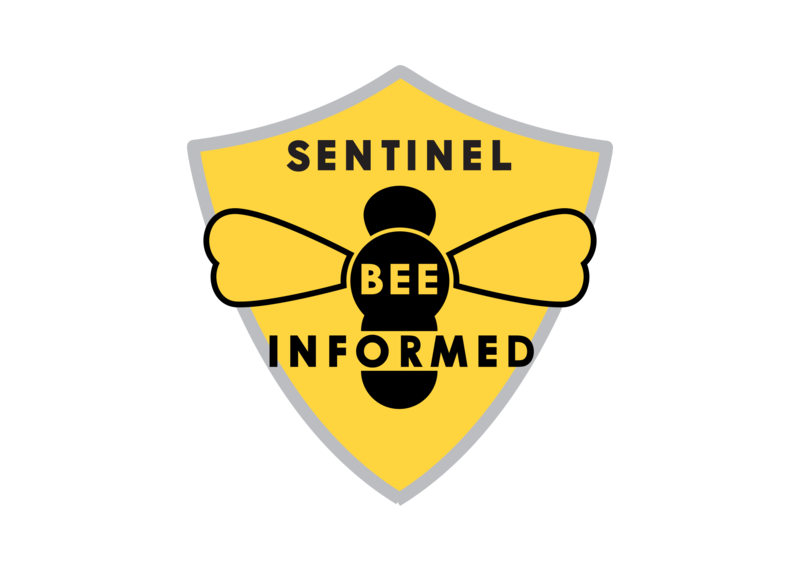 Professor Godínez, a 56-year-old biologist at the Universidad Politécnica Mesoamericana in the municipality of Tenosique, smack on the Guatemalan border, has been a bee lover since his childhood. 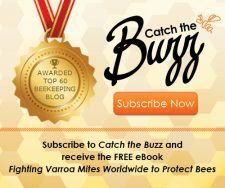 “I think I am an addicted to bees,” he tells me. 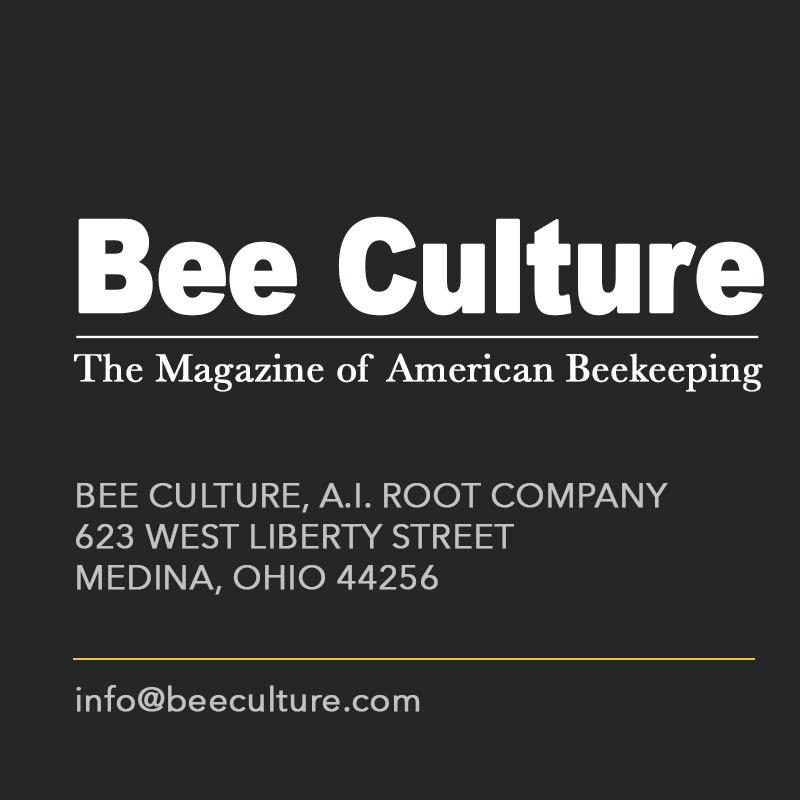 “I am never as happy as when I am working with them.” He is a master at the manipulation of these Africanized bees. Even in the potentially hazardous situation in which we now find ourselves, he wears only a white tee shirt and blue jeans, no protective suit, veil or gloves. 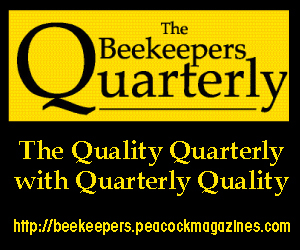 He spritzes the guard bees with lemon-juice-laced water to wet their wings and hinder their flight. 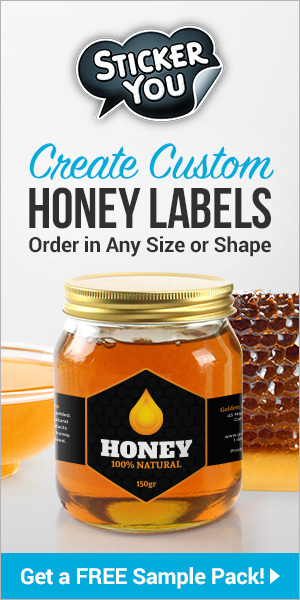 From a smoker he puffs dense clouds of smoke to calm them, mask their alarm chemicals, and induce them to engorge on honey, which calms them further. As his students work with him, he is constantly chanting to them “agua y humo, agua y humo.” Water and smoke. 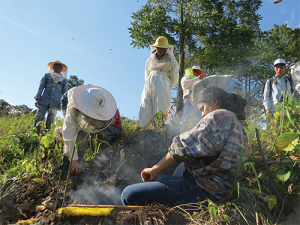 Student Ana Laura Trinidad Sánchez sheds her veil and digs into the cave barehanded to harvest combs. Smoke drifts over exposed combs hanging in the limestone cave. 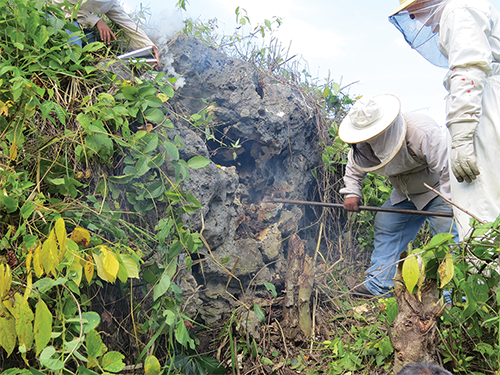 The team uses machetes to hack away the quilt of vegetation, and now sweat-drenched Miguel Corzo wails away at the limestone around the nest entrance with the sledgehammer, exchanging it for a smaller mallet at one point when the head goes flying off the old sledge. “Peligroso,” he murmurs. Students chip away with pry bars, and I find myself dodging big hunks of rock tumbling down into the arroyo. My nostrils and lungs fill with acrid smoke. 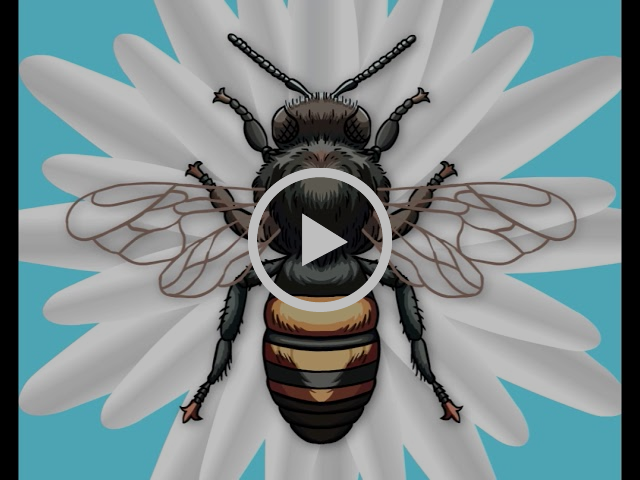 The air around us buzzes with thousands of alarmed, confused bees. Assistants press combs cut from the cave into a wired frame. The students, even the first-year ones, are fearless. 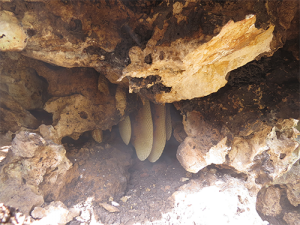 Ana Laura Trinidad Sánchez, who has never before this week worked with bees, sits at the cave entrance pawing bare-handed at dirt and limestone fragments and trying to reach in with a knife to cut out the combs. She becomes exasperated with the awkwardness of her veil and asks the brujo, “Me quito esto?” Can I take this off? Of course, says Luis. 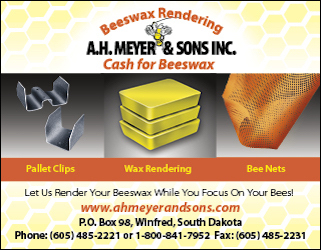 Billows of smoke drive the bees completely from the cavity, and the cut combs are placed in wired wooden frames and then into a wooden bee hive. A large swarm of suddenly homeless bees has gathered on a nearby dangling vine. 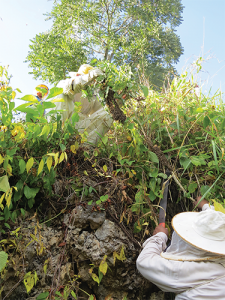 A student uses a machete carefully to sever the vine they have clustered on, and – after agua y humo – shakes and brushes them gently into the box of frames. 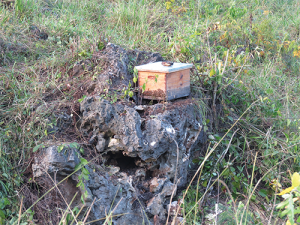 And there sits the new hive, loaded with bees and comb, atop the limestone outcrop and just at the entrance of the old nest. During this entire operation, not a soul has received a sting from these so-called killers. 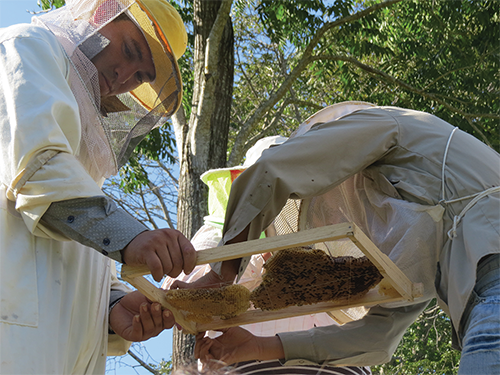 A student prepares to spray, brush and shake the swarm into the hive as Luis looks on. The newly hived “killer” bees sit atop the arroyo. I look back down the long mud path, sweating profusely. 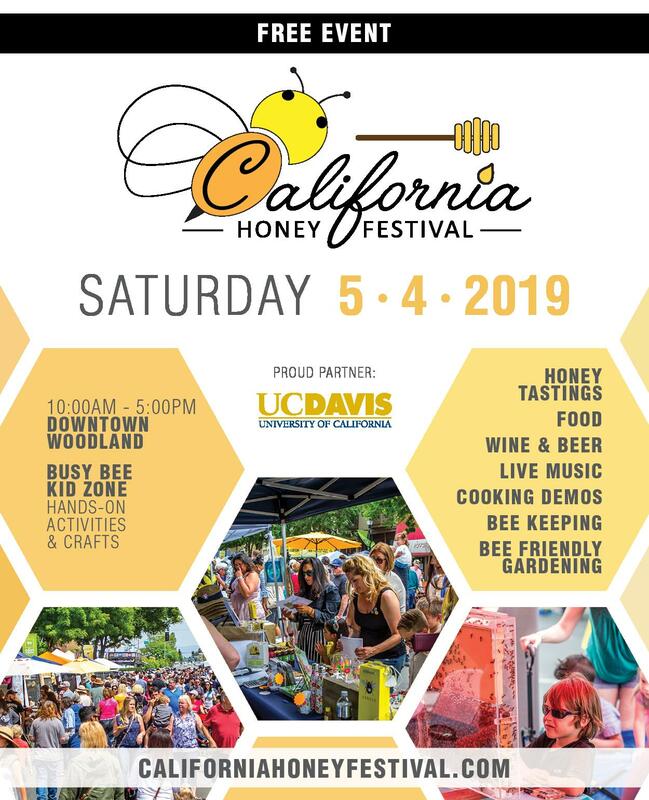 I’m thinking of the return journey, which will have to be after dark when all the bees are home, with the hive and its notorious inhabitants clattering and bouncing in the wheelbarrow. Agua y humo, agua y humo. And the brujo. 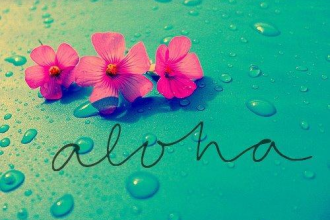 All will be well. W.S. Robinson teaches biology at Casper College in WY. 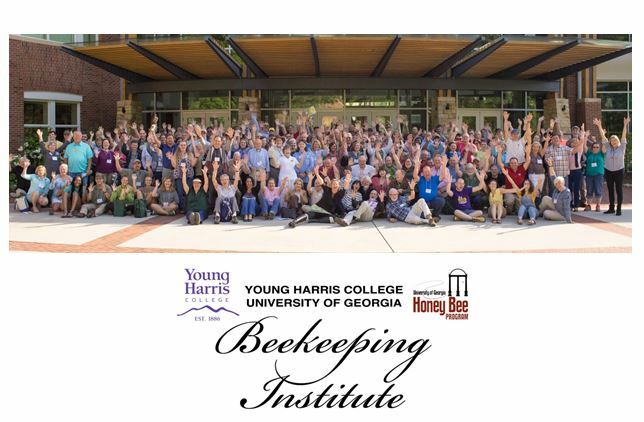 His most recent bee research has been on Apis dorsata and Apis cerana in Thailand. 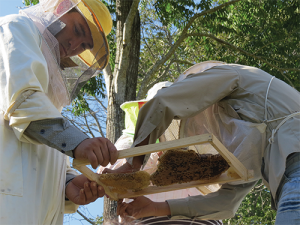 He was in Tenosique, Tabasco, at the Universidad Politécnica Mesoamericana in December and January, 2017-18 as a Fulbright Specialist in apiculture.